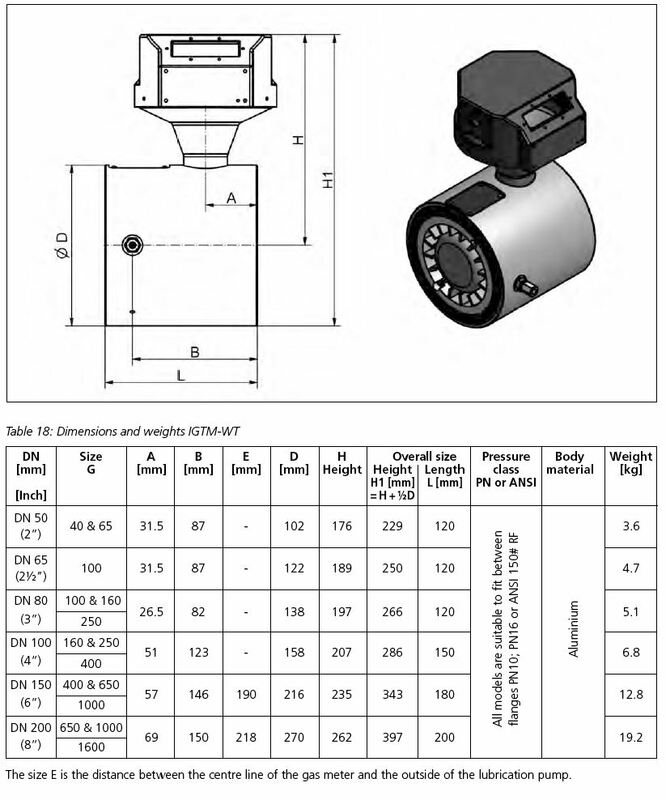 The IGTM-WT is an industrial gas turbine meter for accurate volume and flow measurement. 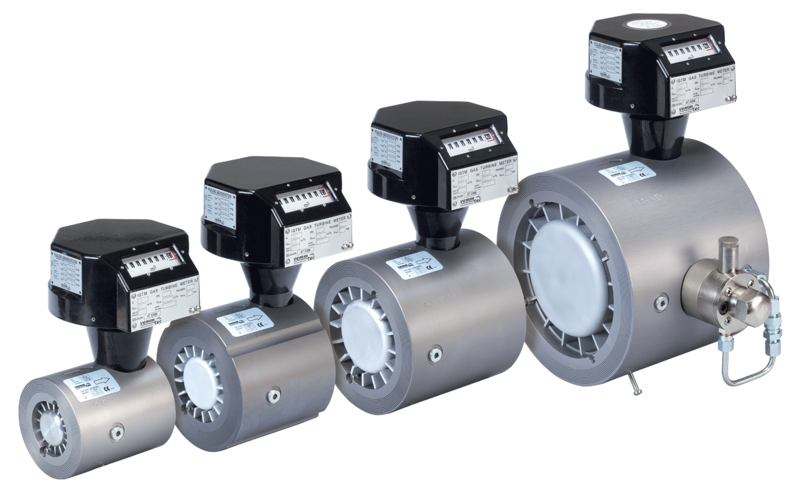 Constructed from Anodized Aluminium, meters feature a lightweight wafer design. An 8-digit mechanical counter increments with gas passing through the meter. A standard low frequency pulser provides pulses per m³ (1R1) and can be connected to an electronic volume converter (EVC) for pressure and temperature conversion. 2) The applicable values are given on the main plate and in the test certificate of the meter.